The Red Dead Redemption 2 trailer hit this week and it delivers a few more details. I’ve delved into the nitty gritty to see what I can glean from this glimpse into Rockstar’s next wild west instalment. 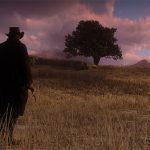 The setting for Red Dead Redemption 2 is now revealed as America 1889. This confirms that it is a prequel, placing this story at least 10 to 20 years before the first game. 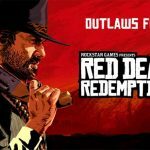 The Rockstar blurb reads, “The end of the wild west era has begun as lawmen hunt down the last remaining outlaw gangs. Those who will not surrender or succumb are killed. 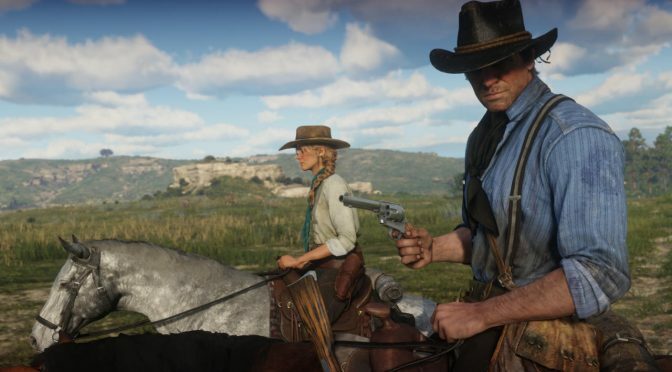 So, our protagonist is Arthur Morgan, not James Marston from Red Dead Redemption, although Marston is in the trailer. At this point he is part of Dutch’s gang, although it’s not clear what part he plays in Morgan’s story. However, when we meet Morgan, he is not the reluctant rogue. He is Dutch’s right hand and it’s a hand that packs a punch. He seems right at home as a gun fighter, fist fighter, robber and anything else the criminal life throws his way. It’ll be interesting to see how they make this guy sympathetic to players. In one scene, Marston is shown with his face badly wounded and crudely stitched up, whilst someone else is holding a knife to his neck. These wounds will heal to become the scars he bears in Red Dead Redemption. Perhaps Marston joins Dutch’s gang under duress. 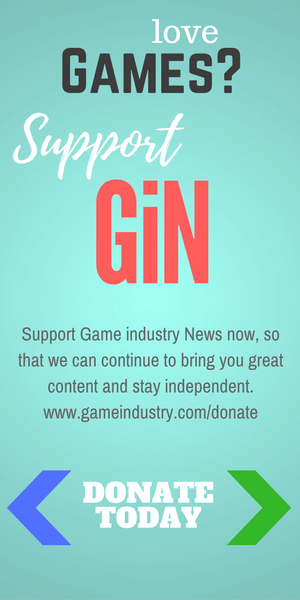 After the scene with Marston shown at knife point, the camera cuts to Morgan who looks troubled by the situation, so perhaps the game tracks his redemption. At one point a character makes a reference to brothers making mistakes, as he talks to Morgan, so he looks set to be a complex character. I know it’s wrong to ever turn to Rockstar for inclusive casting, but I’m not going to stop hoping or criticising them when they just phone it in. Looking at the rest of the players, we have one Native American, who looks like he may have a significant role, as he’s in almost every group scene, but he doesn’t get any dialogue in the trailer. There is also a blonde woman who does get to speak and also stabs someone, so she seems to have a story. I also noticed what could be a black guy in the background, but he looks like just one of the gang, rather than a key player. Either way, the woman, the Native American, the Mexican and the black guy all feels a bit token. It’s only to be expected from Rockstar, but I like to expect more. 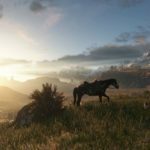 The trailer hints at gameplay, with potential for train robberies, stage coach hold ups and horse wrangling. There is also a scene with bare-knuckle fighting, which has me wondering whether this is a mini-game feature, much like the gambling was in Red Dead. This would be a major upgrade to combat too and also hints at Morgan’s physicality as something that sets him apart from Marston. Red Dead Redemption 2 looks beyond gorgeous, even if it is depicting a darker world. There’s definitely more mud and smoke in this one, but the big open skies remain. With just three trailers to go by, it looks like this sequel has more in common with the aesthetic of something like There Will Be Blood or The Revenant, in contrast to the spaghetti western themes that dominated the previous game. 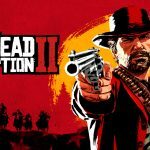 Red Dead Redemption 2 is released on 26 October on PS4 and Xbox One and I’m putting it firmly on my must play list of 2018.